The Flocking Nail Art trend has been around for quite some time now. I have to say this is one of the most clever nail art ideas ever! How would you like to have a piece of that fuzzy and squishy warm sweater on your nails? 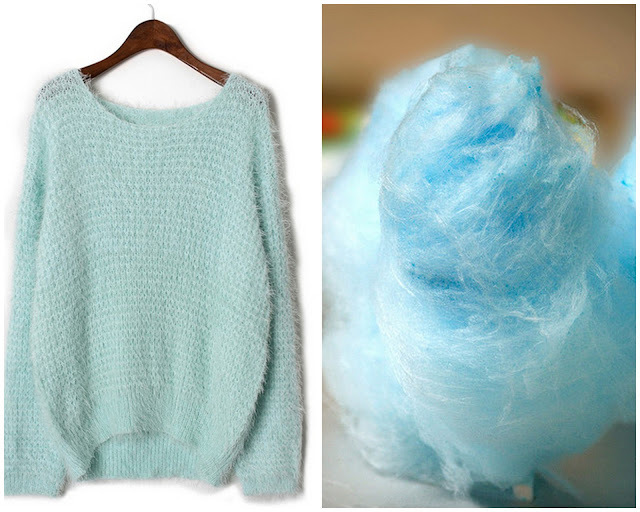 Or a bit of that soft and fluffy cotton candy? Yes, that's what flocking powder will look like on your nails! It looks really pretty up close! Doesn't it feel weird? - It does not feel weird at all. It's like the feeling of having regular nail art stuff on your nails. What will happen if I wash my hands? - The powder does come of a bit when you wash your hands but once it dries up, the appearance will still be the same. How long does it stay on the nails? - Since the powder does come off each time you wash your hands, taking a bath and washing hands are factors that will make the life span of the powder shorter. So I'd say, 3 days maximum. Is it hard to remove? - No. You remove it the usual way using a cotton and nail polish remover. The key to achieving the perfect flocking nails is to use a nail polish that is the same shade as the powder. I used Tony Moly's RM04 Apple Mint nail polish. Don't forget to use the discount code RABW10 when you purchase anything at bornprettystore.com!